If you enjoy combining watching tennis with sightseeing, this Travel guide series is made for you! Our first guide is dedicated to the City of Lights, Paris, that hosts both a Grand Slam, Roland Garros and a Masters 1000, Bercy. Paris is served by three international airports: Charles de Gaulle, Orly and Beauvais. Charles de Gaulle is the city's largest airport and is likely to be a favoured way for many to arrive. It is linked by RER line B to Gare du Nord and on to Châtelet les Halles. Alternatively, the Roissybus service connects all terminals directly to Opéra Garnier in central Paris. Orly is Paris second airport, is smaller and more easily navigated than Charles de Gaulle. There is no direct RER to/from Orly, you'll need to change transport halfway: the automated metro Orlyval links the airport with Antony, whrere you can take RER B for the city centre. Beauvais is the smallest and cheapest of the airports serving Paris but is located 75km north of the City of Lights. Beauvais shuttle links the airport with the métro station Porte Maillot in western Paris. Paris is well connected to the rest of Europe by train. In particular, the London-Paris Eurostar line runs from St Pancras International to Paris Gare du Nord in around two and a half hour. Thalys trains pull into Gare du Nord from Brussels, Amsterdam and Cologne. There are 7 rail stations, each has its own métro stop and all except Gare Montparnasse and Gare de l'Est are also served by RER trains. The SNCF (French national railways) operates all trains within France excluding the Eurostar and the Thalys. Beware, there's actually a nationwide strike going on, with lots of trains being cancelled. Check out ouisncf (www.ouisncf.com) for more details. Bus company Eurolines connects all major European capitals and offers prices significantly cheaper than the train at the cost of much longer journeys. The terminal is in the eastern suburb of Bagnolet, adjacent to the Gallieni metro station. Paris is quite small compared to other European capitals like London and Berlin: at its widest point, the city is only about 12 km across. Paris is divided into 20 districts, called arrondissements. The first arrondissement (1er), is centred on the Louvre. The rest wind outward in a clockwise direction like a snail's shell: the 2ème, 3ème and 4ème are central; the 5ème, 6ème and 7ème lie on the inner part of the Left Bank; and the 8ème to 20ème make up the outer districts. 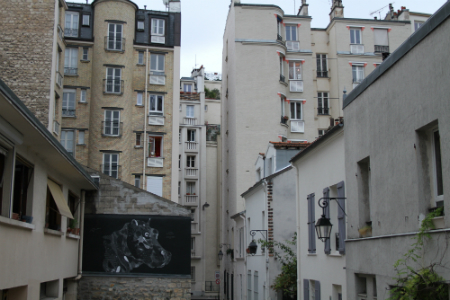 Parisian addresses usually quote the arrondissement, often with the nearest metro station. The postcode consists of 750 plus the number of arrondissement: 75012 for example. Each arrondissement has its own personnality, and most Parisians will be happy to tell you which is the worst, and which is the best (probably the one they live in). The city is also divided by the Seine: to the south is Left Bank (rive gauche), to the north is the Right Bank (rive droite). Referred to by some as Paris' main avenue, the Seine makes its way to the city's coat of arms, that respresents a vessel sailing on choppy waters, with the motto: Fluctuat nec mergitur (She is tossed by the waves, but does not sink). During the medieval era, the city's commercial activity naturally centred on the place where goods came in to the city - a trade monopolized by the powerful Watermen's guild of Paris. The chief landing place was the place de Grève, a strip of marshy ground which lay where the Hôtel de Vill now stands, on the Right Bank. Avoid car: traffic is very dense during the day and finding street parking is really difficult. The best and cheapest ways to explore Paris are: on foot (Paris is much smaller than cities like London and Berlin) and the métro (underground). Almost all of the Paris public transport system is run by the RATP: the bus, métro and tram, as well as lines A and B of the RER - SNCF operates RER lines C, D and E.
Paris and suburbs are divided into six travel zones; zones 1 and 2 cover the city centre. The tickets are valid on the metro, RER (for travel within the city limits), buses, trams and the Montmartre funicular. A single metro ticket costs 1.80 euro or you can buy a book of 10 (un carnet) for 14.40 euros. Paris visit pass for 1, 2, 3 or 5 days are also available. Metros run 5.30am-12.40am Monday to Thursday, 5.30am-1.30am Friday to Sunday. Metro lines are identified by their number and color. The direction signs on each platform indicate the terminus of the line. The correspondance signs show how to reach connecting lines. Check out Paris métro map here. Nord is one stop on the RER, and six on the métro. RER is really convenient if you're making a trip out of the city, to Versailles or Disney. Make sure your ticket is for the correct zone. Buses are slower but are an alternative to métro and RER. 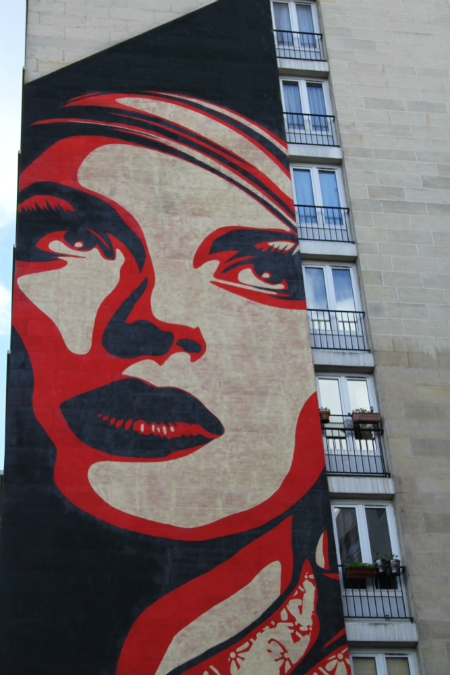 If you're visiting Paris for the first time, chances are you'll want to see all the sites. If you want to avoid these overpriced hop-on-hop-off city tour buses, take the bus line 69 that passes most of Paris famous sights: it goes by Châtelet, rue de Rivoli, the Louvre and Musée d'Orsay. It stops at les Invalides before arriving at the Tour Eiffel. The Batobus (www.batobus.com) is a water-bus (without commentary) and a good way of seeing Paris from the Seine. River buses stop at: Eiffel Tower, Musée d’Orsay, St-Germain-des-Prés (quai Malaquais), Notre-Dame, Jardin des Plantes, Hôtel de Ville, Louvre, Champs-Elysées (Pont Alexandre III). Boats every 25 minutes in high season, every 40 minutes in low season. It was a project that had been discussed since the middle of the 19th century, and when digging finally began in 1898, the project was nearly four decades behind its equivalent in London. Opening in July 1900 to service the Olympic Games, held in Paris at the same time as the Exposition Universelle, the first line linked the Porte Maillot to the Porte de Vincennes. - Don't be stupid, avoid all - bracelets/golden rings/petitions...- scams operating in full force in tourist areas like Montmartre end Trocadéro. Just don't engage the conversation and keep walking. Police won't be of any help. - Security measures have increased since the 2015 terrorists attacks, so you will see military patrolling tourist areas and train stations. - The police can - without any particular reason - search your bag or examine your passport or ID. Just do as they say. - Don't leave bags unattended in public spaces, they could be summarily blown up and you'd spend a bad time with the police. - Don't get into a métro carriage with no one else in it or with just a few men. - Most museums close on Mondays or Tuesdays. - You'll have the most beautiful (and free) views of Paris from the rooftops of Galeries Lafayette and Institut du monde arabe. What pops into your mind when you think of Paris? Probably the Eiffel Tower, Notre Dame, Louvre, Montmartre and so on. I won't talk about all these world famous sites here. With this guide I seek to steer you away from the tourist-throughed sites to discover a few lesser-known museums and sites, a different Paris. 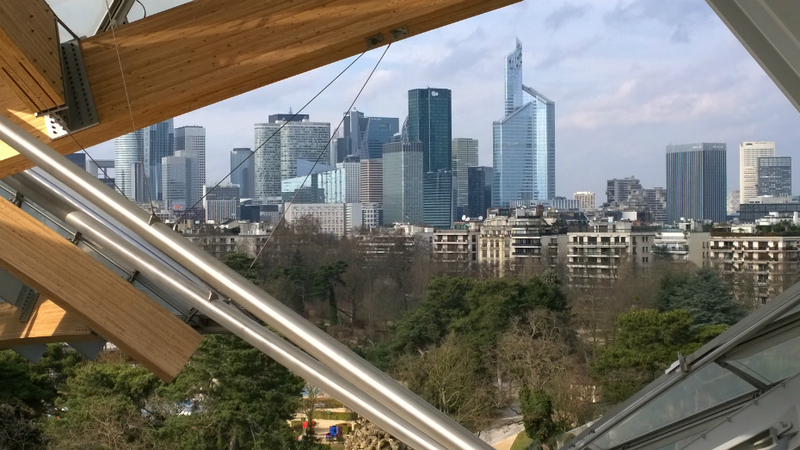 First we head to the western part of Paris to discover 3 sites in or next to the 16th district where Roland Garros stadium is located: the Cité de l'architecture et du patrimoine, the Fondation Louis Vuitton and La Défense. 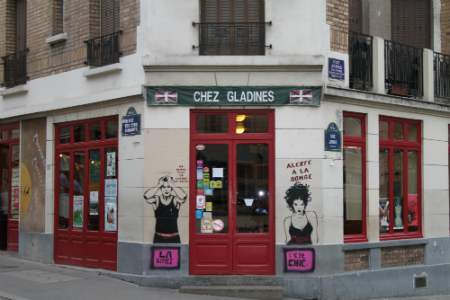 And then we go east, to visit the Musée des Arts Forains in the 12th (where the Bercy Arena, host of the Bercy tournament is located) and explore the 13th district. 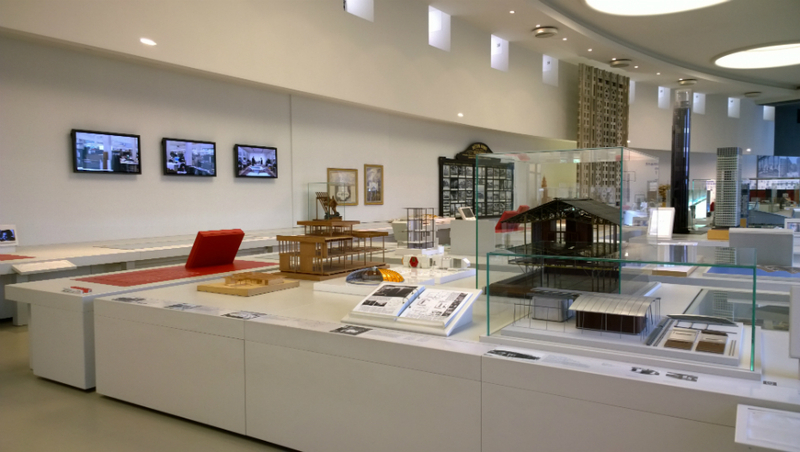 Located in the eastern wing of the Palais Chaillot, just across the Eiffel Tower, this museum is devoted to French architecture and heritage. A must see for any architecture or history buff. 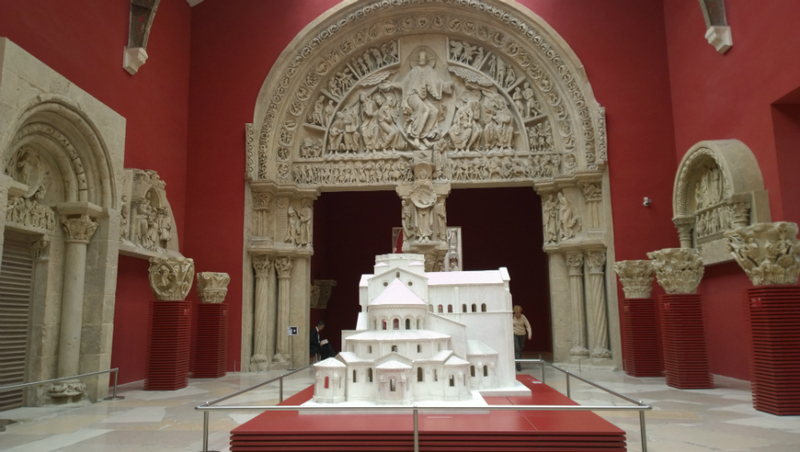 The highlight is the Galerie des moulages, that showcases 350 plaster casts of sections of great French buildings: church portals, gargoyles and saints... On the upper floors are architectural models of France's most important monuments (like la Grande Arche de la Défense) and a full-size reconstruction of an apartment from Le Courbusier's Cité Radieuse in Marseille. Paris has its fair share of museums, many of them world famous like le Louvre ou le Musée d'Orsay, but not everything is about Mona Lisa. 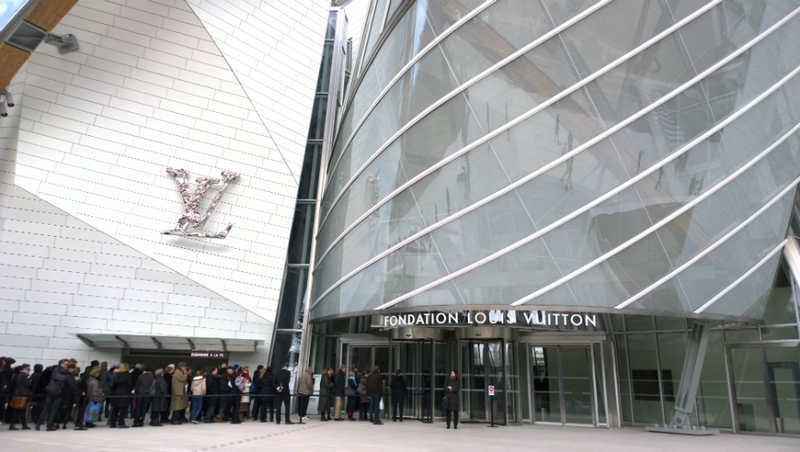 The Foundation Louis Vuitton in the Bois de Boulogne houses the collection of France's richest man, Bernard Arnault, head of luxury brand, LVMH. It boasts a collection of cutting edge modern and contemporary art, including works by Jeff Koons, Takashi Murakami and Jean-Michel Basquiat. 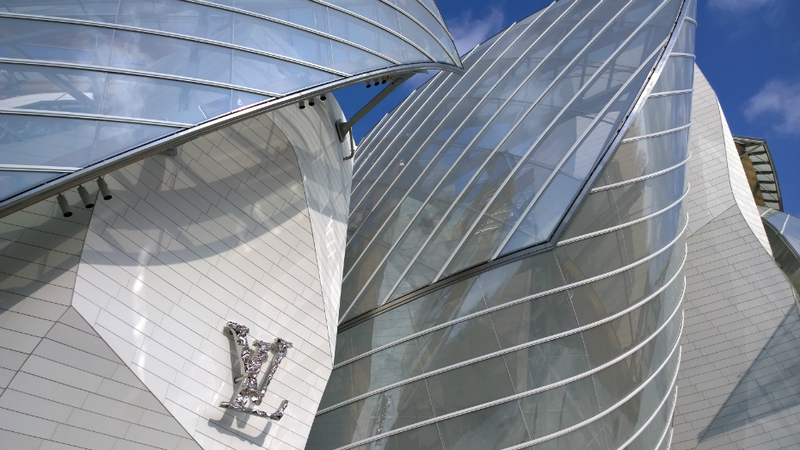 I'm not into modern art myself but I must admit the building in itself is worth a visit: seeking inspiration from the Grand Palais, Frank Gehry imagined a "vessel in the trees" with glass sails. 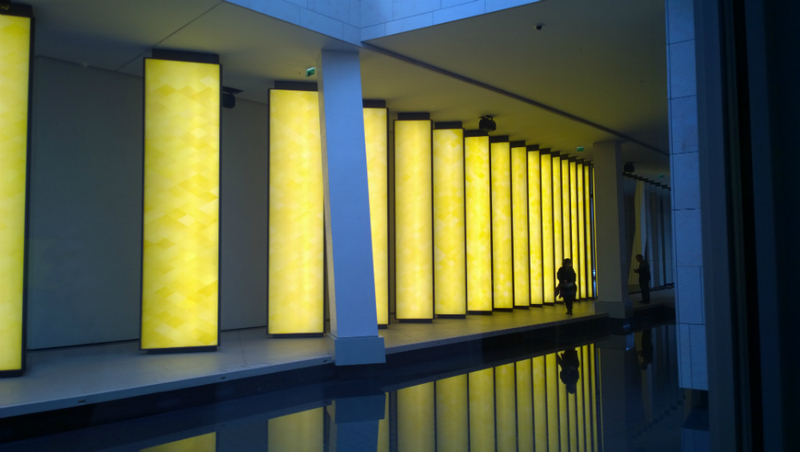 If you're a seasoned Paris visitor or have plenty of time to explore, you should head to La Défense, in the western suburbs, an area few tourists get to see. 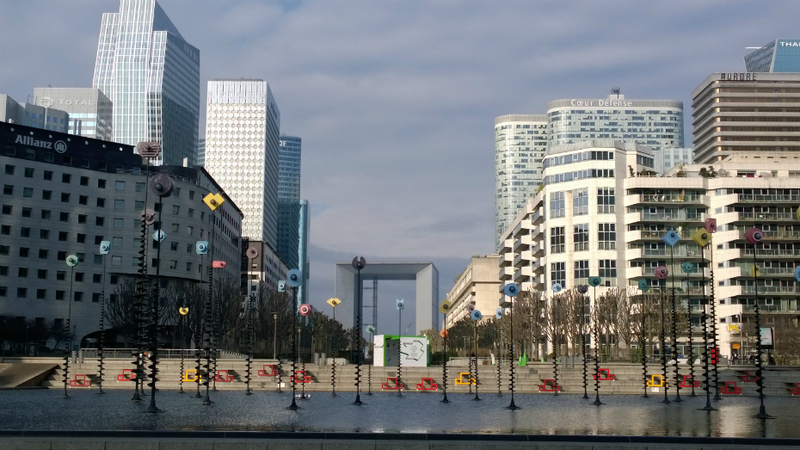 Named in honour of the soldiers who defended Paris in the Franco-prussian war in 1871, la Défense is Europe's largest purpose-built business district, measuring over 160 hectares. Begun in the 50's, La Défense counts more than 100 buildings today, including the headquarters of 75% of France's largest corporations. Due to zoning regulations in the city centre, this is the only place in Paris where you'll see skyscrapers. Around 100,000 people commute here daily during the week, but it's almost ghost city after dark and during the weekend. 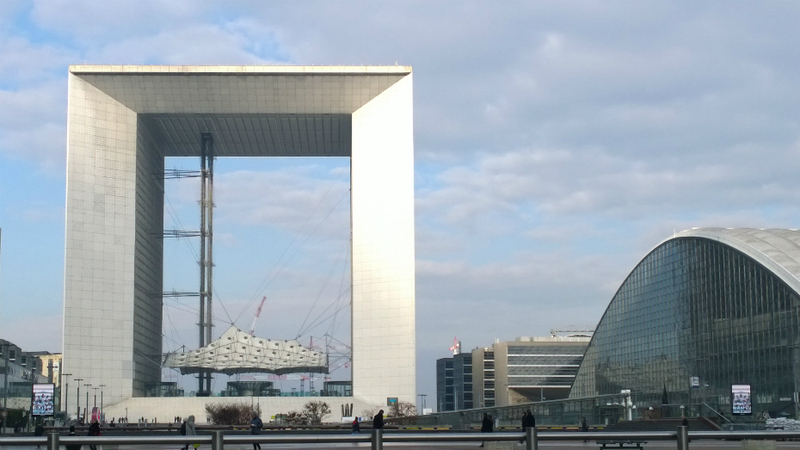 La Defense's landmark edifice is the Grande Arche. Recognizable from a few vantage points all over Paris, it houses government offices. It was inaugurated on 14 July 1989, the bicentenary of the storming of the Bastille, and rumour has it that during the ceremony Margaret Thatcher was trapped in the building's toilets, forcing UK security to break down the doors. 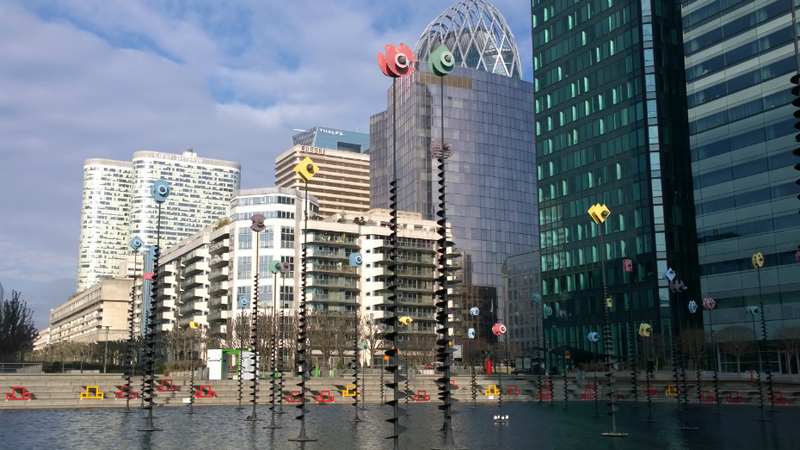 La Défense is also France's largest open air museum: with more than 60 Modern Art pieces displayed in the pedestrian streets and gardens, including Le Pouce by César, Personnages fantastiques by Joan Miró, l'Araignée Rouge by Calder... (check out the map here). 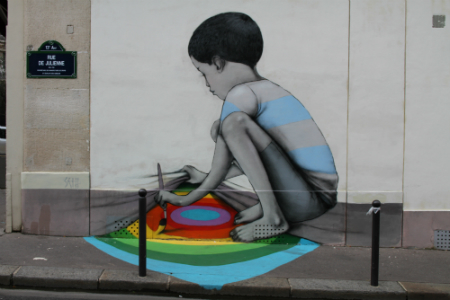 This is a must if you want to do something different in Paris. 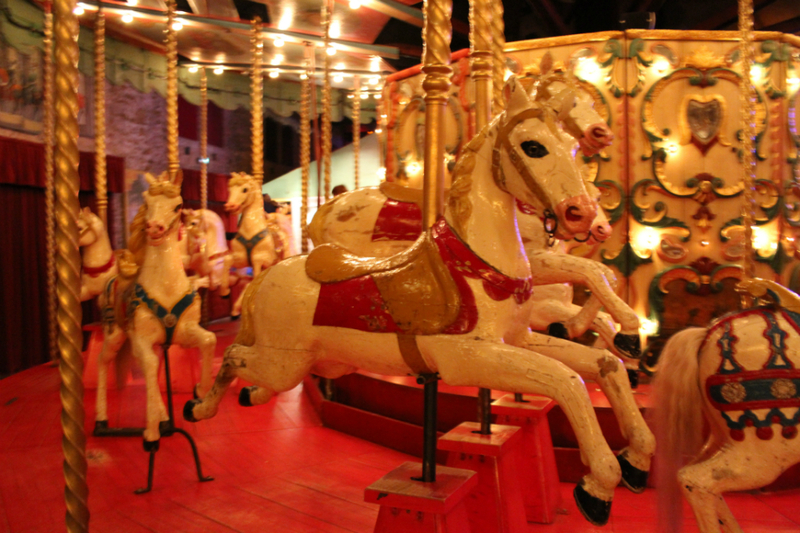 Housed in a former wine warehouse near Bercy Village, the Musée des Arts Forains (Fairground Museum) is a wonderland of vintage carousels, carnival rides and games. 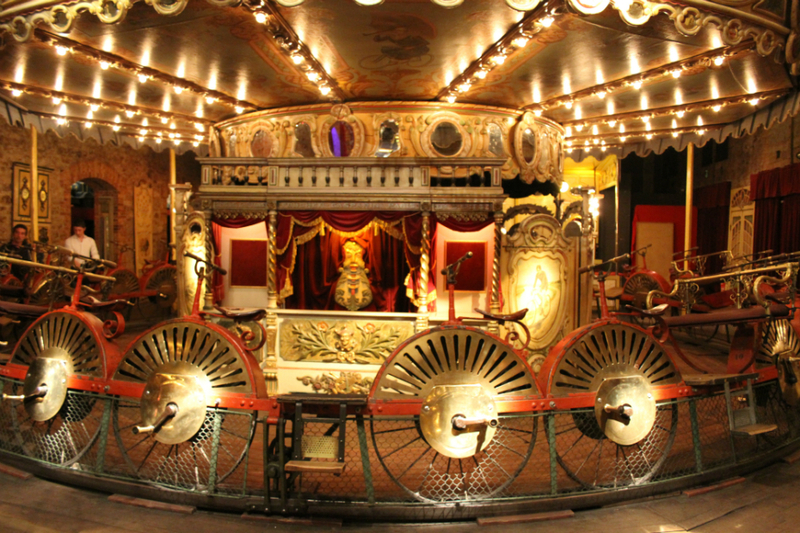 It’s not the traditional museum where you can only watch and can’t touch, here visitors ride on the carousels and try out the other attractions like the waiters’ race. Daily tours are in French but you can ask for a leaflet in English. Book in advance by phone or online. 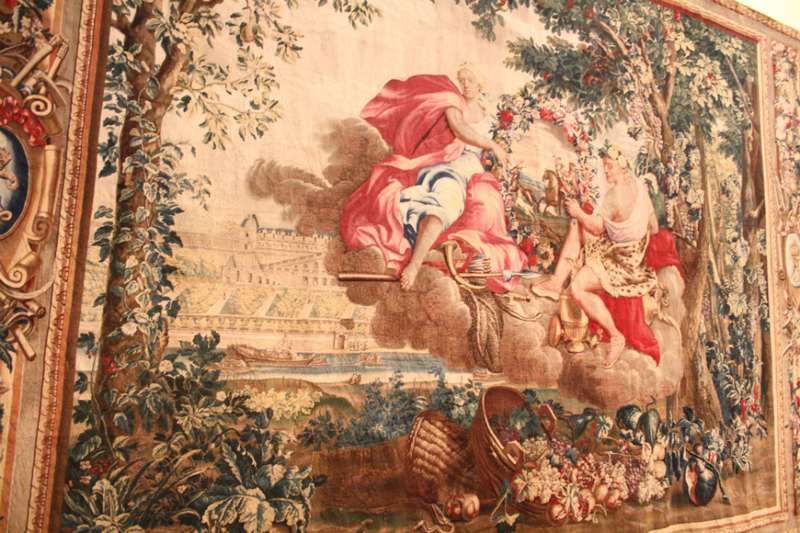 The highest-quality tapestries have been created in the Gobelins workshops since 1662, when French minister Colbert set up the Manufacture Royale des Meubles de la Couronne. It reached the summit of its renown during the 18th century, when Gobelins tapestries were produced for royal residences all over Europe. 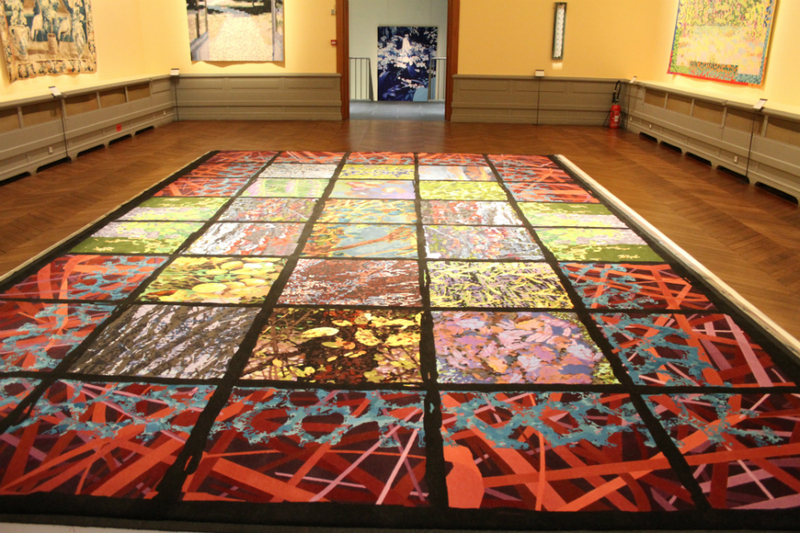 Tapestries are still made here and visitors can watch weavers at work during the guided tour: each weaver completes between one and four square meters a year! 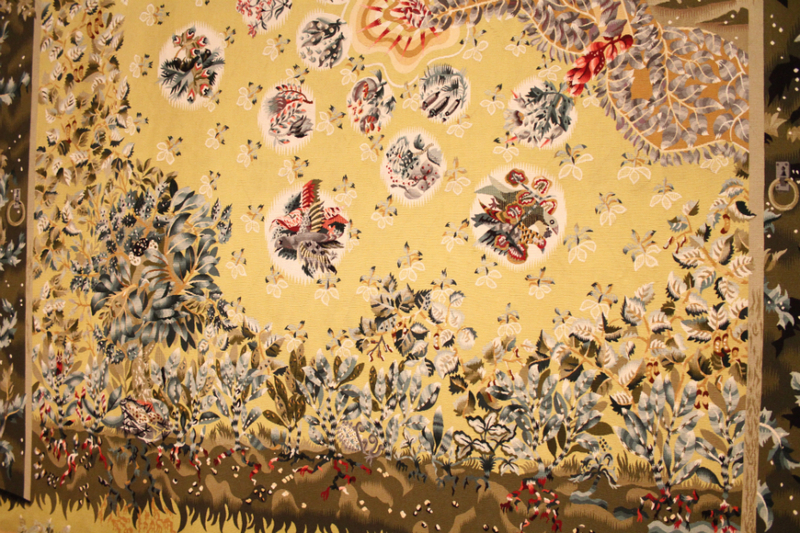 The galleries stage exhibitions of historic and contemporary tapestries, furnishings and textiles. 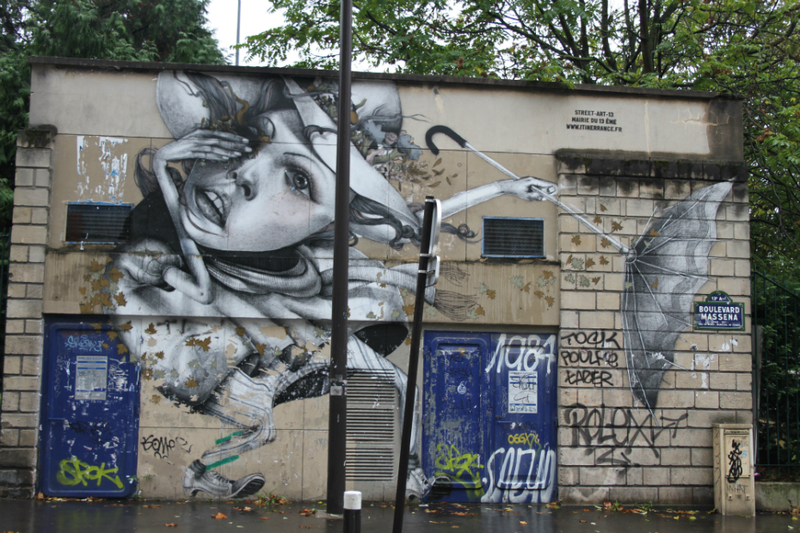 The 13th arrondissement of Paris is much less touristy than central Paris but is nonetheless a fascinating area to explore on foot in you're a street art lover. 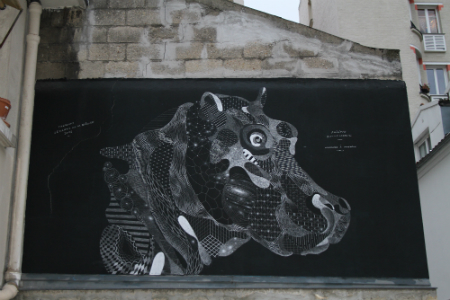 In recent years the mayor of the 13th has made it part of his mission to turn this arrondissement into a canvas for street artists from around the world. 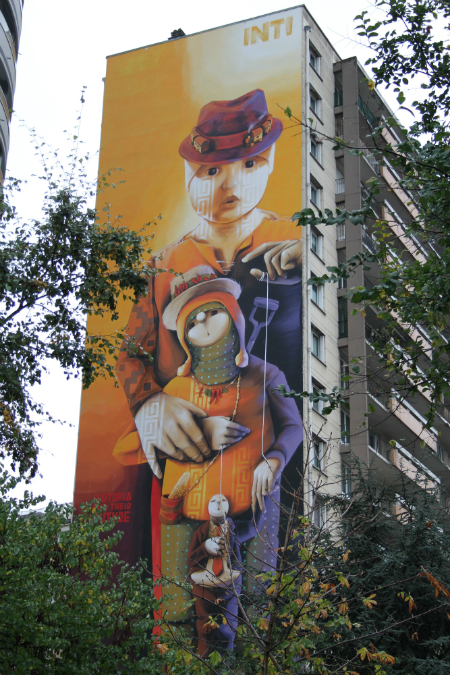 And it's now an open air museum: you only have to stroll around boulevard Vincent Auriol or rue Jeanne d'Arc to come face to face with monumental mural from artists such as Inti, Seth or C215. 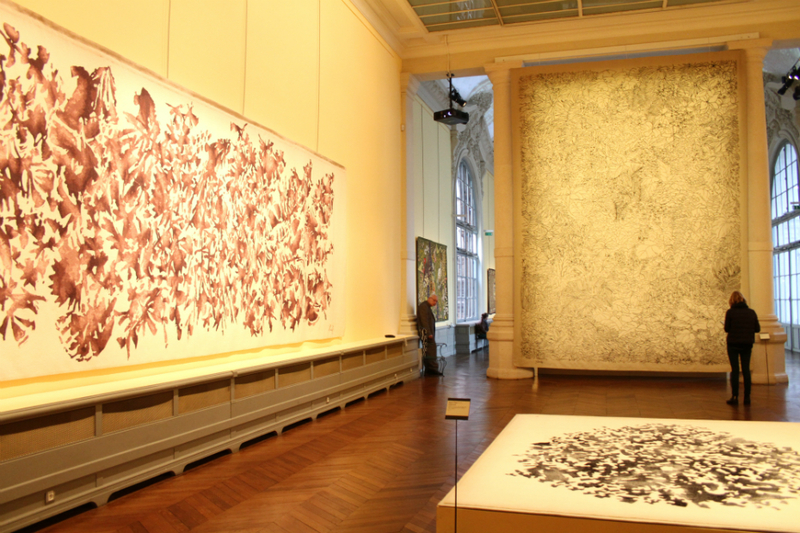 Check out the complete list of art works here, and download the map. In 1891 a one-day men’s singles championship for members of French clubs started in the Stade Français club in Paris. Six years later women joined in, and in 1925 international competitors were allowed to participate in an event that alternated between Stade Francais at St Cloud and Racing Club de France in the Bois de Boulogne. Women had to wait 6 years to join in, and in 1925 foreign players were allowed to compete in what was known as Les Internationaux de France. In 1927, the French Musketeers (Borotra, Brugnon, Cochet and Lacoste) defeated the US on their own soil and won France's first Davis Cup. So the French needed a stadium that would be big enough to accomodate the large crowd expected for the Challenge Round the following year. The Stade Français handed over three hectares of land near Porte d'Auteuil to the French Tennis Federation, on one condition: that the new stadium should bear the name of one of Stade Français' most renowned former members, aviator and WWI hero Roland Garros. A centre court and 4 outside courts were installed, and a 10,000-seat wooden stand was built. The 1928 French Internationals were the first event to be held in the new stadium, just before the Musketeers took centre-stage to beat the Americans in their long-awaited rematch. The Musketeers held on to the Davis Cup for another five years. And then came the dark days - never mentioned by Roland Garros officials. In 1939, the French government used the stadium as a concentration camp for political dissidents, aliens and other suspect types. One of those inmates was author and journalist Arthur Koestler, who chronicled his experiences in his book Scum of the Earth. After the war by the 70's, the French Open was probably the weakest of the 4 Grand Slams. The stadium had not had money spent on it in years, and players were starting to question whether they wanted to play Roland Garros and Wimbledon or just Wimbledon. All this changed with the election of a new president of the French Federation of Tennis in 1972: Philippe Chatrier. He secured new commercial and television deals, and improved the practice and medical facilities, the facilities... By 1980, Roland Garros was up to 10 courts and was no longer "unloved". Today Roland Garros main courts are: Court Philippe Chatrier (also known as Court Central), Court Suzanne Lenglen - built in 1994 and named after the 1920's French champion - and Court numéro un. - Court Philippe Chatrier will be fitted with a retractable roof which can be closed in around 15 minutes. - The iconic Court numéro un will be replaced by the Court des Serres (Greenhouse court), a new 5,000 seat semi-sunken court surrended by 4 greenhouses. - The Fonds des Princes will be modernised and become a competition area with a sunken 2,200 seat court and other outside courts with permanent stands. Renovation work should be completed by 2020. Situated in the 12th arrondissement, the Bercy Arena (official name AccorHotels Arena) has been hosting the Bercy tournament (official name Rolex Paris Masters) since its first edition back in 1986. Designed by the architectural firm Andrault-Parat, Prouvé, Guvan, it is easily recognized by its pyramidal shape and its wall covered with sloping lawn. Programed in the context of Paris (failed) bid to host the 1992 Olympics, this stadium was conceived for all kinds of sporting and cultural events (concerts, motocross competition, figure skating...). It reopened in October 2015 after 18 months of renovation work. It will host the judo competition and basketball finals for the 2024 Olympics as well as the wheelchair basketball for the Paralympics. The tournoi de Paris, ancestor of the Bercy tournament (nobody calls it Rolex Paris Masters, like nobody calls Indian Wells BNP Paribas Open), was an indoor tournament held at the Stade Pierre de Coubertin from 1968 to 1982. Arthur Ashe, Stan Smith and Ilie Nastase were among the winners in the late 60's early 70's, before this event died a slow death. The first winner of the Open de Paris Bercy was 18-year old Wimbledon champion Boris Becker, who defeated Sergio Casal. The inaugural edition of the tournament was a success, with 82,000 spectators during the week. Guy Forget, the current director of the tournament, was the first Frenchman to take the title, in 1991, after a tense 5-set battle over Pete Sampras. A few weeks later, the two would square off again in Lyon, in the Davis Cup final. Another memorable Bercy final (probably the best final of the tournament so far) is Marat Safin's victory over Mark Philippoussis 8-6 in a fifth set tiebreaker back in 2000; that final had it all from opposition of styles to fantastic points to blood on court (Marat suffered a cut above his eye when he hit himself with his racquet in attempt to hit a diving volley), Safin finally prevailed after 3 hours and a half of play. In 2007, David Nalbandian defeated Rafael Nadal in the first final played over the best of 3 sets. Being the last Masters 1000 of the season, Bercy represents the last chance for players to make it to the ATP Finals. It can also be decisive in the quest to number one ranking: Sampras (1995), Safin (2000), Roddick (2003), Djokovic (2012) and Andy Murray (2016) reached the number one spot during the tournament. Unfortunately the tournament has often been plagued by last minute withdrawals in the recent years, and last year's final between Jack Sock and Filip Krajinovic was probably the weakest in the history of Masters 1000 tournaments. 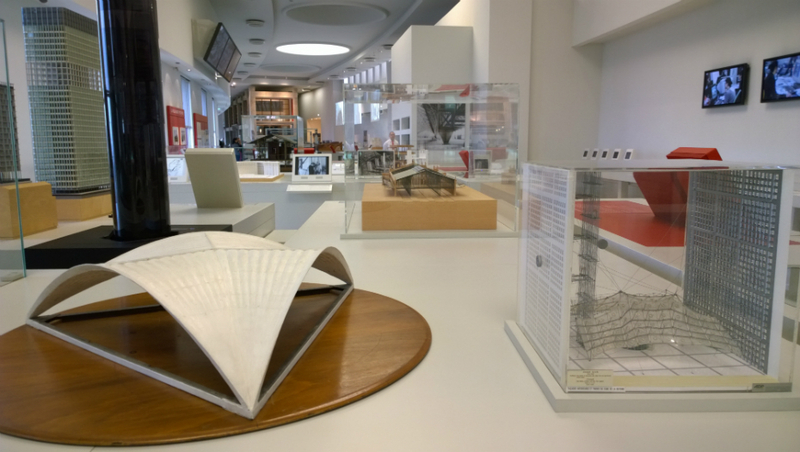 In 2024, Paris will play host to the Olympics for the third time, I will talk about it in due time with a complete how to guide and all, but let's have a look at the two previous Parisian Olympiades. These games were unique as they took place over a period of 5 months in conjunction with the Expostion Universelle (World's Fair) of 1900, which took place in Paris. Poorly organized, almost chaotic, they failed to capitalize on the Athens success in 1896. The Paris Olympics were reported in the newspapers as anything but Olympic: they were often referred to as "World University Championships" or "Exposition contests". Years later, many competitors had no idea that they actually competed in the Olympics, but only that they had competed in an international sporting event in Paris in 1900. 24 countries sent delegations to compete, with 997 athletes taking part, and women - 22 competed - made their first appearance at modern Games. The programme featured 19 sports for a total of 95 events. Tennis was one of 5 sports in which athletes from different nations competed on the same team, the others being football, polo, rowing and tug of war. France dominated the podium places, claiming 94 medals, including 25 golds. Not surprising considering that in lots of competitions they were the only nation competing. Until one week prior to the tennis tournament, it was not known where of if the tournament would be held. Only 5 days before the start, the Ile de Puteaux Club agreed to allow their facilities to be used for the tournament. In the men's draw, the question was which Doherty brother, Reggie or Laurie, would win. Reggie had won 4 straight Wimbleon titles (1897-1900) and Laurie would later win 5 in a row (1902-1906). After winning their first round matches, they were to play each other in the semifinals but refused to do so. Reggie withdrew in favor of his brother, and Laurie advanced to the final, where he defeated Harold Mahony in straight sets. The women's draw was actually more competitive. Among the players present were 3-times Wimbledon champion Charlotte Cooper, 2-times US Champion Marion Jones, France's best player Hélène Prévost, and Hedwiga Rosenbaumova of Bohemia. All matches were decided in straight sets, with Cooper defeating Jones and Prévost defeating Rosenbaumova. Cooper defeated Prévost 6-1 6-4. A few days earlier she had teamed up with Reggie Doherty to claim the mixed doubles title. The Games returned to the French capital in 1924 and this time the Games were a major success. Aside from attracting a large number of reporters and being the first Games to be broadcast over the radio, Paris 1924 proved a success with the public, with a total of 625,000 spectators tuning out to the the events. For the first time, all of the athletes stayed at an Olympic village. Built near the Olympic Stadium in Colombes in the outskirts of Paris, the Village comprised portable wooden houses, a post office, bureau de change, hairdressing salon and a restaurant. These Games also introduced the Closing ceremony as we know it today, with the raising of 3 flags: the flag of the International Olympic Committee, the flag of the host nation and the flag of the next host nation. Suzanne Lenglen took the oath on behalf of the athletes during the opening ceremony: "Olympic officials have practically chosen Melle Lenglen in preference of any of the athletic stars put forward, believing that she typifies perfectly the 'spirit of the Olympiad'. The coming honor is a pretty tribute to Melle Suzanne. It is a double recognition of her greatness - greatness of heart as well as her prowess as an athlete." Heroes of the Games were "Flying Finns" of track and field Paavo Nurmi and Ville Ritola. The winner of 3 golds at Antwerp in 1920, Nurmi went on to win 5 gold medals in Paris. He notably achieved a fantastic double, winning the 1,500m and then the 5,000m an hour later. His countryman Ritola took home 6 medals, including 4 golds. Two other names have gone down in Olympic history: Great Britain's Harold Abrahams and Eric Liddell, the respective 100 and 400m champions. Their friendhip was immortalised in the 1981 movie Chariots of Fire. Tennis made its last appearance on the Olympic programme before its return in Seoul in 1988. The women's single title went to Helen Wills Moody who also won the doubles with Hazel Wightman. Wills won her singles match easily. Didi Vlasto, a Greek who was born in Marseille, played for France and eliminated Kathleen McKane in 3 long sets in the semifinals. In the final, she was overwhelmed by Wills' strong groundstrokes and lost 2-6 2-6. In the doubles, Hazel and Wills overcame Phyllis Covell and McKane 7-5 8-6 after being behind 2-5 both sets. The man's matches were hotly contested and featured the Americans against the the French Musketeers. Henri Cochet reached the finals to play Vincent Richards who won in 5 sets 6-4 6-4 5-7 4-6 6-2. Richards and Franck Hunter faced a tough draw in the doubles but prevailed over Jacques Brugnon and Cochet 4-6 6-2 6-3 2-6 6-3. Finally, Titanic survivor Richard Norris teamed up with Hazel Wightman to win the mixed doubles and complete a clean sweep for American tennis. Roland Garros will host tennis and boxing competitions for the Olympic Games. In addition to wheelchair tennis, it will also host football 5-a side, wheelchair basketball and wheelchair rugby during the Paralympics. Hoping you enjoyed the read, feel free to drop a comment below. I'll do my best to reply and complete this guide.